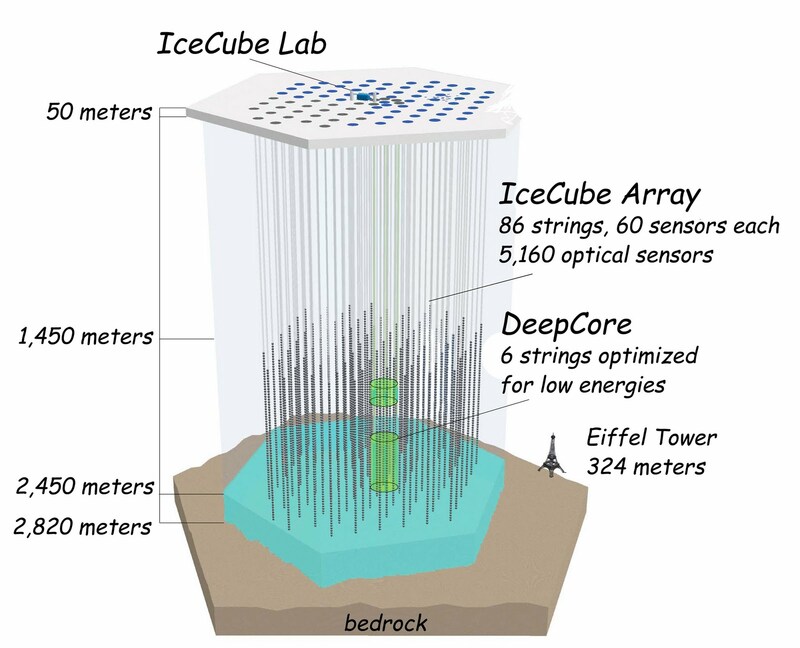 Apparently one of the newer NASA science projects is a 1.5 mile long neutrino detector, called Ice-Cube. 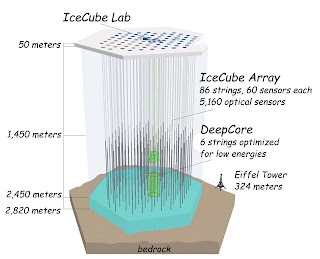 In the antarctic, they will drill 86 holes, 2820m deep down to bedrock, and lower strings of detectors down the length of the hole. Neutrinos are particles produced in fusion reactions. Neutrinos and antineutrinos are the chargeless analogs of electrons and positrons, and only interact with other matter via the weak nuclear force. Because the weak nuclear force is very weak, it is very improbable for neutrinos to interact with anything. It is so rare that they interact that the Earth is largely transparent to their passage. Prior neutrino detecting experiments were built deep beneath the earth to block out all other forms of radiation. These detectors built up an image of the mantle of the sun: at midnight, on the other side of the world. I imagine that NASA is interested in this telescope to probe deep into the heart of energetic phenomena like quasars. The gas, dust, and accretion disks would be transparent to neutrino passage, and you would see straight to the heart of fusion processes. I wonder though if this is a telescope in the sense of being able to build up a focused image from the data, or if it can only build up a defocused accumulation of neutrino magnitude as a function of direction? After all, if a neutrino interacts with the top detector, it would be very amazing odds for it to interact with any of the others prior to flying out into space, even without taking into account the scattering nature of the detection. Still cool regardless. We live in amazing times. Future professor: You failed your quals! To encourage a proper studious attitude for the retake, I banish you to the ice telescopes of Antarctica! Thanks for the info. I'll correct shortly.